Take an old building, whether it’s an abandoned supermarket or apartment, add some mismatched furniture and serve drinks. That is the simple concept behind the ruin pubs of Budapest. In the ruins of the Jewish neighborhood on the Pest side of Budapest, lies one of the best kept secrets of the city. The once flourishing neighborhood suffered destruction during World War II and continued to decline for the following decades. The abandoned buildings and open outdoor spaces created the perfect place to set up the now popular ruin bar scene. Szimpla Kert opened in 2001 and is considered the first ruin pub. Creating a casual and hipster atmosphere, the ruin pubs share the same idea of a relaxed meeting place where friends can gather, get cheap drinks and have a good time. That being said each of the ruin pubs that have popped over the past 15 years have their own personality and offer visitors a unique experience. Each ruin pub has its own individual identity including decoration, music and cultural experiences. Bright lights, old furniture and street art all contribute to individual look of each ruin pub. 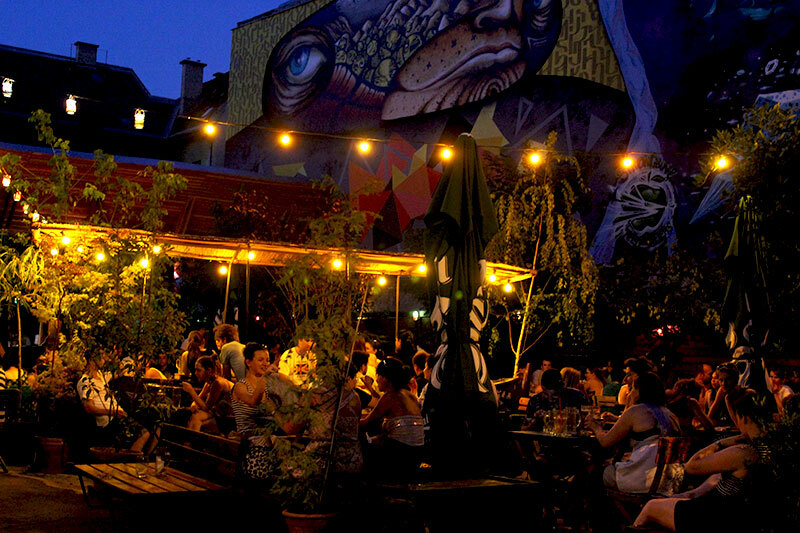 Szimpla Kert has indoor rooms plus a large outdoor garden for large groups to gather in. After a few 2 euro beers, you can also grab some pizza from their wood-fired oven. Sprawled out between two old apartment buildings, Instant has rooms with flying animals hanging from the ceiling, and rooms for dancing and DJs. Instant is one of the newer ruin pubs and is more clubby, but still gives off the ruin pub vibe. Ruin pubs have transformed into a cultural experience as well as they are the home of everything from art galleries to flea markets. The ruin pub scene is not just for young hipsters but for everyone who wants a drinking experience in a part of history.